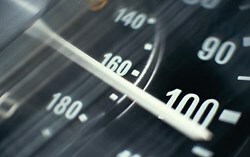 Kentucky Personal Injury Lawyer Mike Schafer reminds motorists to keep within speed limits. Attorney Mike Schafer wants to remind motorists that they can reach their destination by driving safely and adjusting their driving speed to the road rules and conditions. “There is no need to hurry. It is best to observe the speed limit and drive safely. Think of the safety of your loved ones and others, too,” Schafer added. In the article entitled, “Speed limits going up in many states”, published on usatoday.com, July 22, some states have already raised their speed limits including Texas with a speed limit of 85 mph; New Hampshire, 65 mph to 70 mph; and North Carolina, 75 mph. Attorney Schafer said that it may be true that increasing the speed limit may be a positive thing as it might speed up traffic flow and enable motorists to reach places easier and faster, the risk of car accidents, reckless driving, and road traffic injuries remains. “Though the speed limit in some states have already been raised, there are still risks of driving fast. It is better to stay within the speed limit and for sure, doing this would reduce risks of committing violations,” Schafer said. Schafer explained that drivers who go beyond speed limit are more prone to driving violations and accidents. Driving in high speed increases impact of crashes; hence, causing more serious and severe injuries to victims. “Driving at a higher speed likewise means less time for drivers to react. When this happens, drivers won’t be able to prepare themselves to what is happening around them and in that case, it may cause someone injuries, and worse, death,” Schafer stated. Attorney Schafer concluded that staying within the speed limit does not only mean obeying the rules; it also means being cautious of the safety of your loved ones and pedestrians, too.